With the announced withdrawals of South Africa, Burundi and the Gambia, the International Criminal Court (ICC) now faces the gravest crisis of its existence. The Court’s standing in Africa is in jeopardy as rumours abound that more states will follow. One way, however, for the Court to win over public and diplomatic opinion is to recruit its most legitimate and persuasive allies—the victims of atrocity crimes themselves. As an example, the murderous rampage in Darfur, a signature crime of our generation, left hundreds of thousands dead and millions displaced. Yet the voices of those victims seem to be missing from the heated debate over the ICC’s arrest warrant for Sudanese President Omar al-Bashir, even when he visited South Africa in 2015. As a result, al-Bashir and his allies have been able cynically to shift the focus away from the atrocities themselves and paint the standoff as a political confrontation between Africa and the “international community.” The same kind of fight played out regarding Kenya, where a distant prosecutor was no match for an elected president who could manipulate continental sentiment (as well as the evidence, the crime scene and the witnesses). The faces of the Habré campaign included the charismatic Souleymane Guengueng, who took an oath from his prison that if he survived he would fight for justice, Clement Abaifouta the president of the victims’ association, who had to bury his cell mates in mass graves, and their courageous lawyer, Jacqueline Moudeina, who survived an assassination attempt to drive the legal battle. Their visible leadership made it impossible for Habré to paint himself as a political “victim” or to tar his prosecution as imperialistic (though he tried both). I have witnessed how Guengueng’s story brought tears to government officials who went on to champion his right to justice. Support for the prosecution of Jean-Claude Duvalier—who was being investigated for crimes against humanity before his death—was mobilized by magnetic survivors such as Boby Duval, who counted 180 deaths in his Fort Dimanche prison cell, and journalist Michèle Montas, imprisoned and exiled with her husband Jean Dominique. 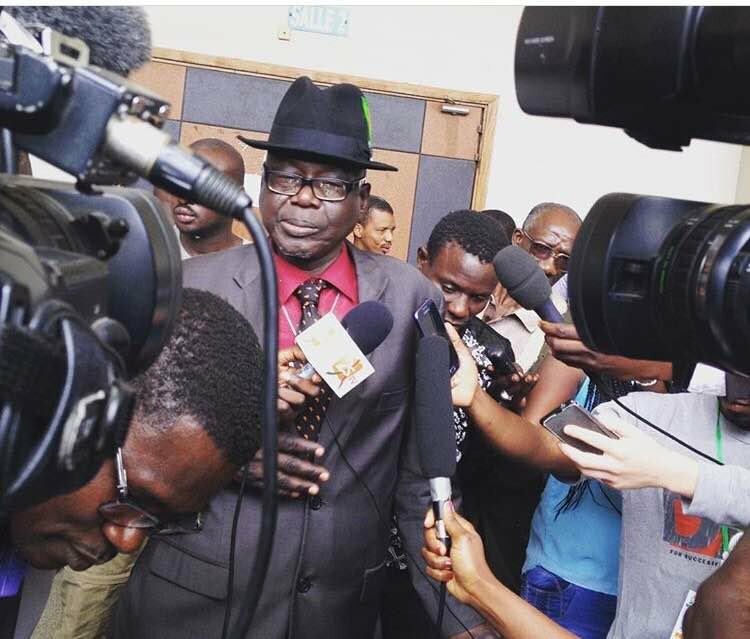 "Victims' association founder Souleymane Guengueng speaks to reporters after Hissène Habré's conviction, Dakar 2016. Victims are actors of international justice rather than its passive subjects. The ICC has struggled with how to improve the formal and procedural role of victims in prosecutions, in keeping with its limited resources and a defendant’s right to a fair trial. Less consideration has been given, however, to how the ICC can enlist victims as political advocates. In this respect, the ICC—and supportive NGOs—can learn from the best practice of activist lawyers who have long understood that their affected clients are their own best advocates. Putting the victims at the center requires more than optics, however. It also means taking seriously the Office of the Prosecutor’s recognition that “victims are actors of international justice rather than its passive subjects.” Habré’s victims insisted from the very beginning that the prosecution include crimes against each of Chad’s victimized ethnic groups. While ultimately, it was the prosecutor and investigating judges who determined the contours of Habré’s trial, they relied on the narrative the victims had woven over the decades. Survivors of sexual violence broke their 25-year silence to testify only because of their confidence in lawyer Jacqueline Moudeina. Similarly, in the Rios Montt trial, the marginalized indigenous communities and their NGO supporters who initiated the case also framed the charges, identified survivors and helped dictate the prosecution strategy. In supporting the Darfur warrant against al-Bashir, Desmond Tutu powerfully argued that “[j]ustice is in the interest of victims and the victims of these crimes are African.” But unless we know who these victims are, hear their voices, feel their suffering, and understand their longing for justice, and unless they themselves are active participants in the process, the ICC will not be able to capitalize on the strength of these natural allies.